New CEO appointment at SCOR Brasil Resseguros S.A.
On January 9, 2018, Eric Dannemann Lundgren will be joining the SCOR Management Team as CEO of SCOR Brasil Resseguros S.A. 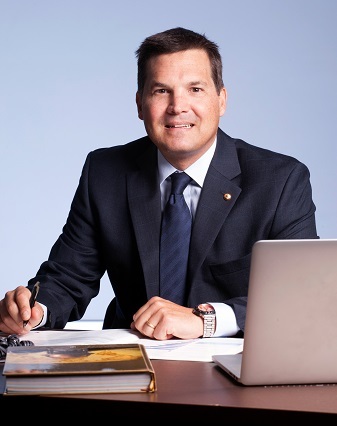 This appointment reinforces SCOR’s commitment to the Brazilian market. Eric Dannemann Lundgren has over 20 years of experience in the insurance industry and was most recently with Prudential Financial in Rio de Janeiro, as Vice President of Strategy and Development for Latin America. He began his insurance career with Allianz, where he worked for 15 years in various positions and locations. Starting off as an Advisor to the CEO of Latin America in Brazil, he then moved to the Allianz SE Headquarters in Munich, where he worked in several different departments. In 2008, he became Director of Allianz Seguros for the Iberian and South American Region in Barcelona. Eric has a degree in Economics from PUC in Rio de Janeiro. He holds a Master’s Degree in Finance from IAG/PUC in Rio de Janeiro and an MBA from the Cranfield School of Management in the UK. Eric will be located in the Rio de Janeiro Office and will also spend a considerable amount of time in the São Paulo office. On 19 May 2016 in Miami, SCOR was elected “Latin American Reinsurer of the Year” at the Reactions Fourth Latin American Re/Insurance Awards.